Golden Boy Promotions Inc., the world’s leading boxing promotions company, announced today that it has been recognized by the 39th Annual Telly Awards with 4 wins — 2 Silver and 2 Bronze — in the company’s first year of entry. The Telly Awards annually showcases the best work created within television and across video, for all screens. Receiving over 12,000 entries, Telly Award winners represent work from some of the most respected advertising agencies, television and cable networks, production companies and publishers from around the world. In 2015, Oscar De La Hoya launched Golden Boy Media and Entertainment with the desire to control the production and creation process of his live events and original programming. Since its inception, this new division has produced over 2000 hours of live sports and original programming. These include productions for ESPN, RingTV.com and for international channels across the globe. “Oscar De La Hoya architects a strategic path for Golden Boy day in and day out and asks that we push hard and knock down long established barriers across all facets of the development and production process – emphasizing that we inspire, educate and entertain our audiences around the world,” said David Tetreault, EVP, Media and Entertainment, Golden Boy Promotions. 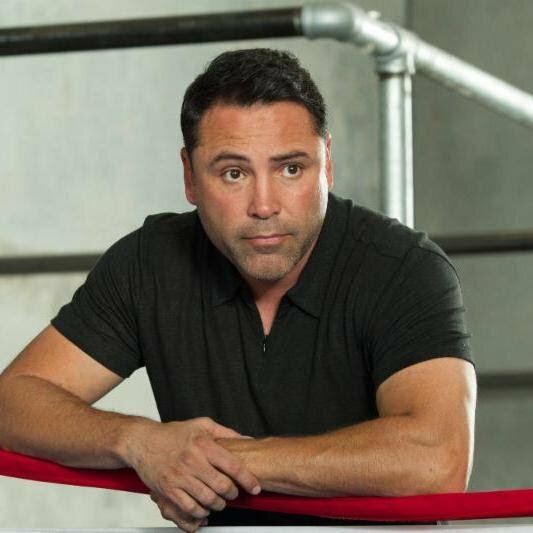 De La Hoya serves as the Executive Producer on all programming and has developed many new TV series including the provocative Mano a Mano airing on ESPN, which chronicles the trials and tribulations of top fighters as they prepare for their most important fights. He also created the critically acclaimed film I Am Boxing, which starred Ice Cube. The film incorporated the parallax special effect to bring to life historic boxing photos from De La Hoya’s Ring Magazine archive. The Golden Boy Telly Award winners span film, I Am Boxing – Silver Award – Sports Television I Am Boxing – Bronze Award – Motion Graphics, original TV network programming Mano-A-Mano – Silver Award – Sports Television and live sports programming Dear Las Vegas – Golden Boy on ESPN – Bronze Award – Sports Television.